1) Slice the dried apricots half way to make a pocket for the cheese and align on serving tray (most dried apricots come already sliced). 3) In a bowl, mix mascarpone, orange zest and honey. Now using a butter knife, put abut a Tbsp of the mix inside the apricots. 4) Chop pistachios and lay out on a plate. 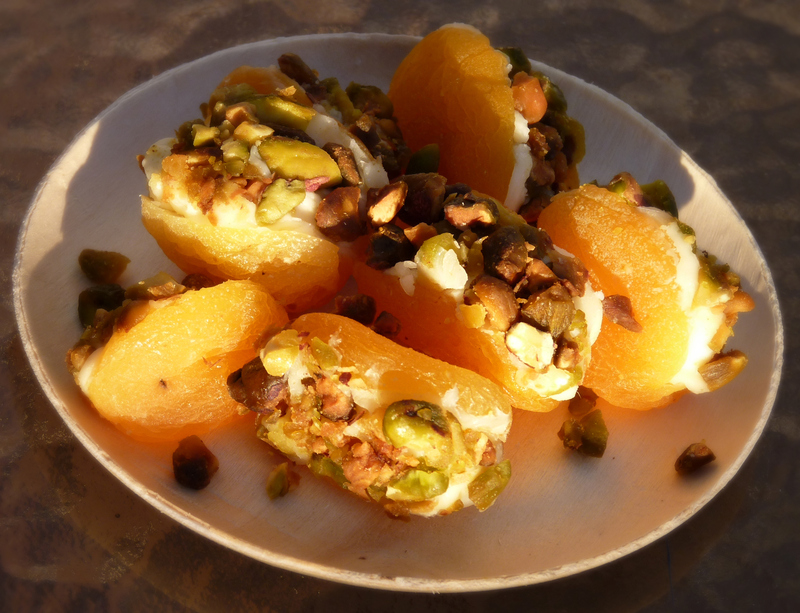 Now roll the mascarpone stuffed apricots in the copped pistachios.